CRT Versus LCD: Which Monitor Is the Best to Buy? At this point and time, CRT based monitors are an outdated technology. Essentially all production of the cathode ray tubes has been halted due to costs and environmental concerns. Because of this, you will likely not even be able to find such a display for sale. Instead, all computer displays are LCD thanks to the improvements in technology that make them better for color, viewing angles and even displaying outside of their native resolution. Most desktop computer systems sold now by default come with LCD monitors. Still for those that what to know the difference and which they would be better off purchasing, we have updated this article to be more relevant to the current technologies and products offered today. The primary advantage that CRT monitors held over LCDs were their color rendering. The contrast ratios and depths of colors displayed were much greater with CRT monitors than LCDs. While this still holds true in most cases, many strides have been made in LCDs such that this difference is not as great as it once was. Many graphic designers still use the very expensive large CRT monitors in their work because of the color advantages. Of course, this color ability does degrade over time as the phosphors in the tube break down. The other advantage that CRT monitors held over LCD screens are the ability to easily scale to various resolutions. This is referred to as multisync by the industry. By adjusting the electron beam in the tube, the screen can easily be adjusted downward to lower resolutions while keeping the picture clarity intact. 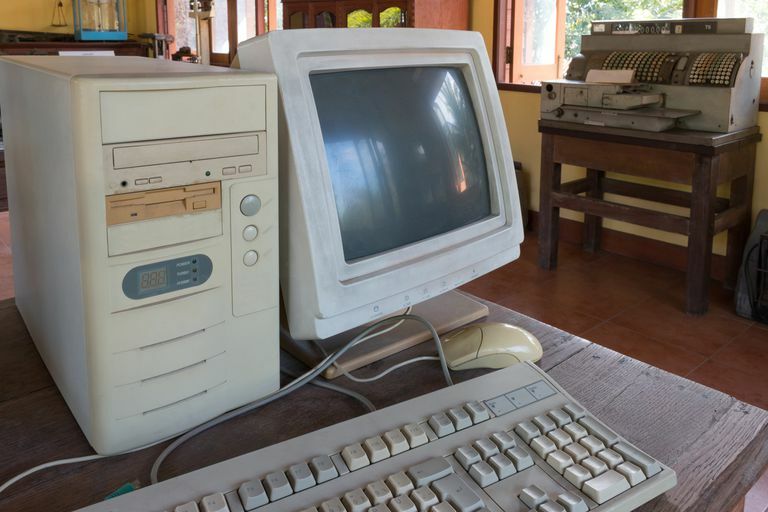 While these two items may play an important role for CRT monitors, there are disadvantages as well. The biggest of these are the size and weight of the tubes. An equivalently sized LCD monitor is upwards of 80% smaller in size and weight compared to a CRT tube. The larger the screen, the bigger the size difference. The other major drawback deals with power consumption. The energy needed for the electron beam means that the monitors consumer and generate a lot more heat than the LCD monitors. The biggest advantage to LCD monitors is their size and weight. As was mentioned earlier, the size and weight of an LCD monitor can be upwards of 80% lighter than an equivalent dimension CRT screen. This makes it possible to users to have larger screens for their computers than was possible before. LCD screens also tend to produce less eye fatigue to the user. The constant light barrage and scan lines of a CRT tube tend to cause strain on heavy computer users. The lower intensity of the LCD monitors coupled with their constant screen display of pixels being on or off produces less fatigue for the user. It should be noted that some people still have issues with the fluorescent lighting used in some LCD backlights. This has been offset by the increasing use of LEDs rather than fluorescent tubes. The most notable disadvantage to LCD screens is their fixed or native resolution. An LCD screen can only display the number of pixels in its matrix and no more or less. It can display a lower resolution in one of two ways. Using only a fraction of the total pixels on the display or through extrapolation. Extrapolation is a method whereby the monitor blends multiple pixels together to simulate a single smaller pixel. This can often lead to a blurry or fuzzy image particularly with text when running the screen below is a native resolution. This has greatly improved over the years that it isn't as much of a problem anymore. The video was problematic with early LCD monitors because of slower response times. This has been overcome by many improvements, but there are some that still have low response times. Purchasers should be aware of this when purchasing a monitor. However, the improvements are often workarounds that can actually lead to another problem of reduced color clarity. Unfortunately, the industry is very poor about properly listing the specifications for monitors to help buyers understand and compare monitors.